You really can save 50% to 80% off regular retail price on this great selection of drapery and upholstery fabric remnants. Keep in mind that these designer fabric remnants are from some of the best mills and converters in the home décor fabric business. And they aren't necessarily closeouts. We always have a few yards left over on the bolt of some of our most popular fabrics. If you are making throw pillows, pillow shams, even duvet covers you can find the fabric that just the right length you need at a fraction or the cost of our already discounted everyday prices. 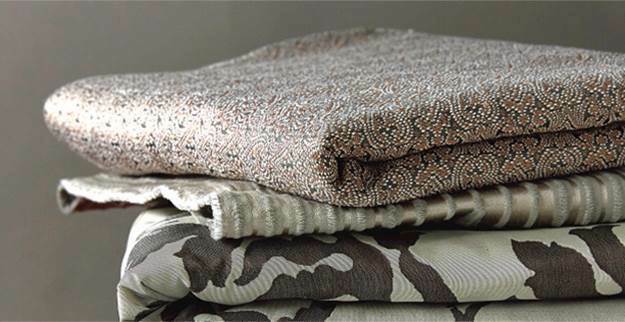 You'll find short rolls of indoor outdoor fabrics, chenille upholstery, Ikat prints, velvets, faux silk, suede fabric, denim and duck fabric, beautiful printed drapery and lots of upholstery fabrics. These are all fabrics for the home and the usually one of a kind so they won't last long. Don't wait; you can save really big right now with these fabric remnants for sale. 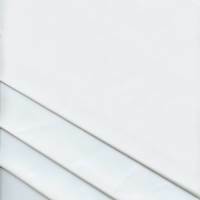 Roc-lon Budget Blackout White Drapery Lining - 13 Yard Piece Roc-lon's Budget Blackout is a 3-pass blackout drapery lining that blocks 100% of sunlight making it a perfect choice for window treatments in your bedroom or home office. This lining is also energy efficient and has insulating properties. Window treatments made with Budget Blackout help keep rooms cooler in the summer and warmer in the winter. As an added benefit, this lining will also help reduce outside noises by helping to muffle sounds outside your windows. Dry clean recommended.Made in USA. Roc-lon Budget Blackout White Drapery Lining - 10 Yard Piece Roc-lon's Budget Blackout is a 3-pass blackout drapery lining that blocks 100% of sunlight making it a perfect choice for window treatments in your bedroom or home office. This lining is also energy efficient and has insulating properties. Window treatments made with Budget Blackout help keep rooms cooler in the summer and warmer in the winter. As an added benefint, this lining will also help reduce outside noises by helping to muffle sounds outside your windows. Dry clean recommended.Made in USA.